Gold Class Spray Leather Moisturizer cleans and conditions leather providing excellent feel to the touch. Its formulation leaves no residues. 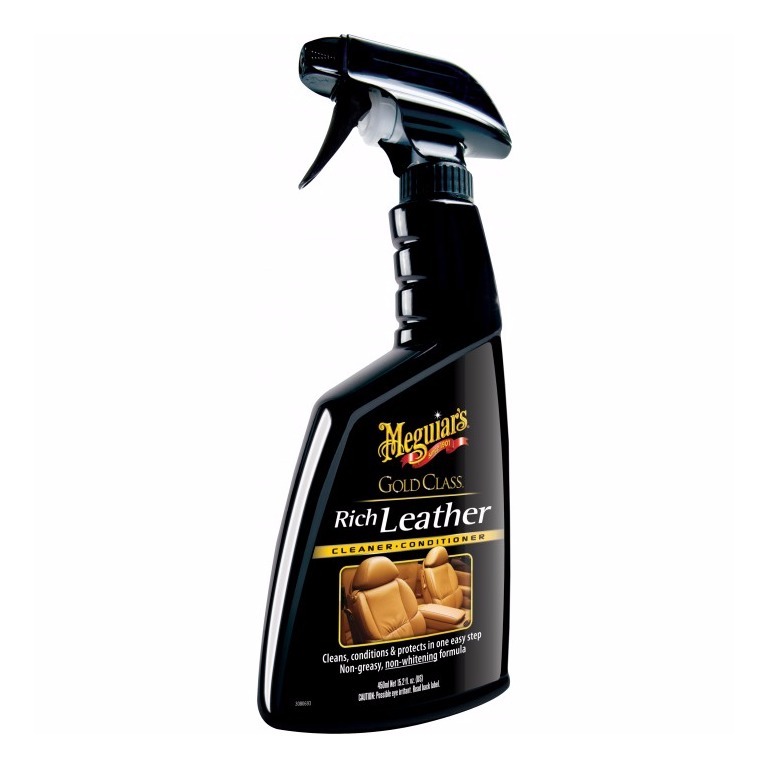 The Gold Class Spray Leather Moisturizer by Meguiar’s product is suitable to clean, nourish and protect leather in your car leaving no white residue or artificial gloss on surfaces. This product is not greasy, and its formulation contains premium conditioners which nourish leather, getting it pliable and giving a brand-new look. Its UV-ray protection helps to prevent premature aging and discoloration on leather upholstery. Ideal for use on any leather surfaces, including punched, cracked and sewed ones.